Gov. 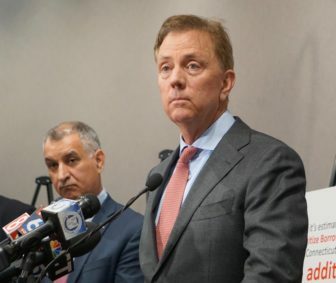 Ned Lamont and Sen. Carlo Leone. Lamont seemed wistful about how his administration is faring in the public debate, at least for the moment. Sen. Len Fasano, R-North Haven. 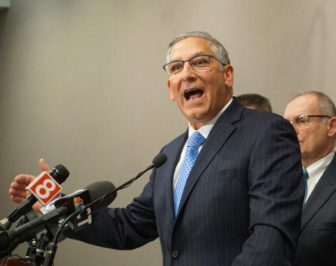 “For us to retreat and even consider tolls, there really hasn’t been put anything on the table that makes that a viable option,” said Candelora, the deputy House minority leader. Donald J. Shubert, the president of the Connecticut Construction Industries Association, a trade group that promotes tolls as a means to stabilize financing for highway maintenance and modernization, said he is resigned to seeing tolls as an issue that will rise or fall strictly on Democratic votes. Lamont also doesn’t want to use the General Fund to pay for transportation work as unaffordable under the terms of his debt diet, creating a short-term gap in transportation funding until tolls are approved. He paused when asked Wednesday if he felt Democrats would support his debt diet. “They all applauded when I mentioned the ‘debt diet’ in my speech,” he said, referring to his budget address on Feb. 20.